Help pound out hunger this holiday season at Williams & Sherrill! 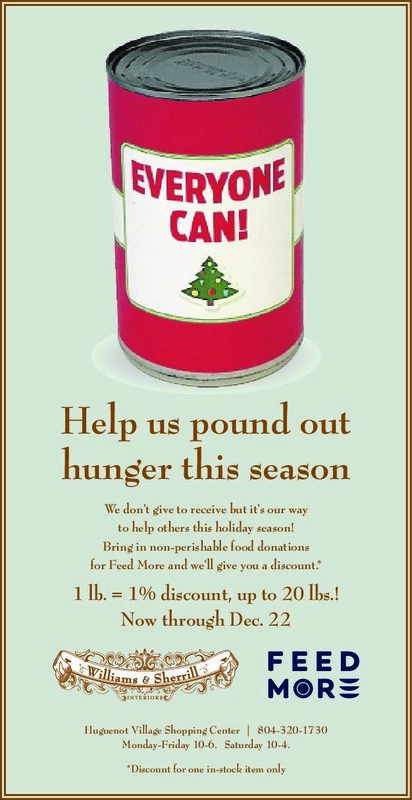 Now through December 22, for every one pound nonperishable food donation, you will receive a one percent (1%) discount, up to 20 pounds. Please check out our most-wanted items list to see how you can help Feed More this holiday season!